Justin Long made a name for himself helping Apple sell computers. But the star of the "I'm a Mac" ad campaign has had less success selling his Los Feliz Mediterranean home in Los Angeles. He first tried to sell his three-bedroom, five-bath home at 5862 Holly Oak Drive in 2011, but after lowering the price several times with no buyer, ended up pulling it off the market. Now he has re-listed the luxurious, artsy home with an asking price of $2.095 million. There is an open house at the home on Sunday, March 16 from 2 to 5 p.m. The boy-next-door actor is the star of an upcoming Fox sitcom, Sober Companion, where he will play an upbeat sober companion, helping his clients overcome addiction in unconventional ways, according to Entertainment Weekly. Besides his movie roles and Mac persona, Long is most famous for his on-again, off-again relationship with actress Drew Barrymore. If he manages to sell his house this time, he will barely make back what he put into it. Long bought the home, which was built in 1990, for $1.999 million in 2008. It was previously owned by "L.A. Law" star Blair Underwood. The 3,388-square-foot home is reminiscent of an Old World hideaway, gated and wired with security cameras. 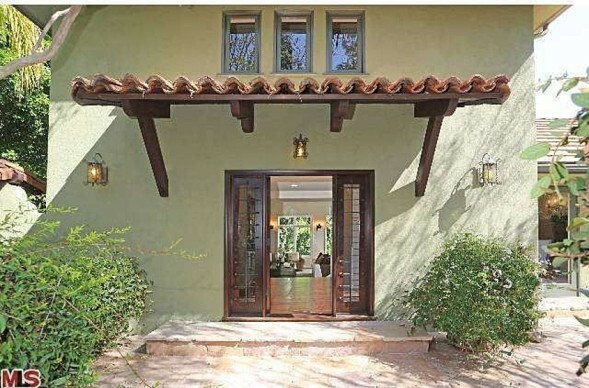 It features terra cotta roof tiles and beamed ceilings. The dramatic two-story living room has hardwood floors and a wood-burning fireplace with tile detail, and French doors from several rooms open onto patios and verandas with canyon views.